Looking for something a bit different to do around Belfast? 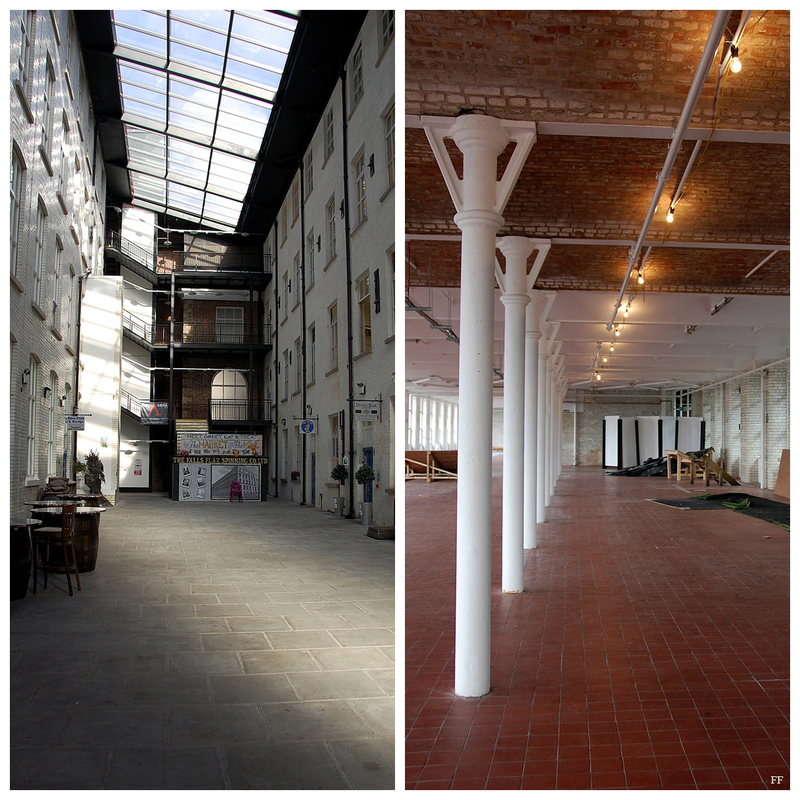 Then check out this insightful textile tour of Conway Mill in West Belfast! Tour guide and vintage aficionado Rosie Moore first became interested in the history of the Conway Mill when she stumbled upon some early 1800s Gaelic birth certificates of the mill workers in the building's attic. Immersing herself in research she discovered some interesting facts about the linen industry and what it was like to live the life of a mill worker in and out of the workplace. 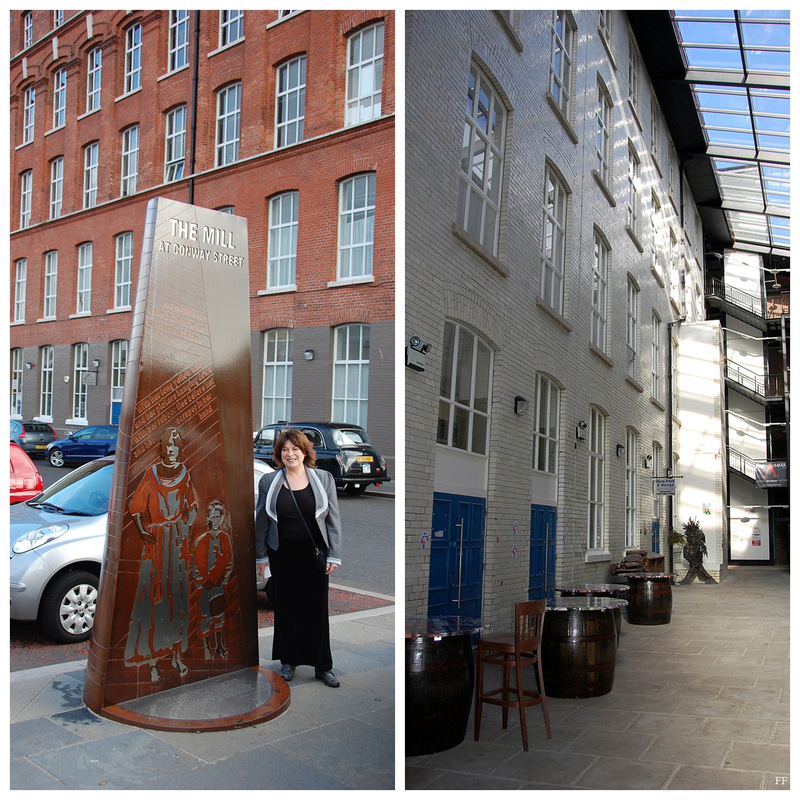 We started the tour outside at the mill's monolith where Rosie explained how the people of Belfast contributed to the making of the linen industry so famous throughout the world that Belfast was once known as Linenopolis. In 1842 the first part of the mill was built and was called Kennedy's Mill at at Millvale. In 1865 it amalgamated with the Falls Flax Spinning Company and that was its name until it closed down. Then between 1900 and 1910 the second mill was built to replace the weaving factory. This is why two different styles are seen (above.) 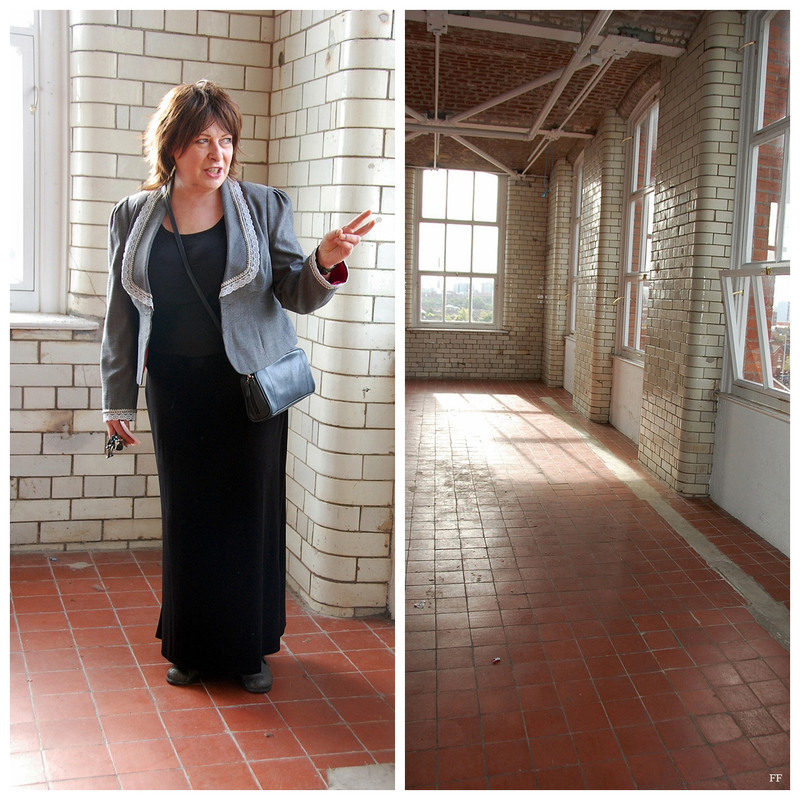 Victorian bricks for the old building and Edwardian tiles for the new. I really enjoyed the tour overall I found it to be a fascinating topic. Rosie's warmth, knowledge and charming stories throughout made it a truly valuable visit. P.S - The Mill courtyard holds a 'People's Variety Market every Saturday between 10am-3pm. Stallholders include arts and crafts, vegetables, baked goods, meats, books, jewellery, homewares, handmade soaps, books etc. At the minute there are around 30 stall holders (mostly regulars) but people can put their name down for a stall and will be given a chance to take part as soon as possible. The cost per stall is £12 and the person to contact regarding renting a stall is Peter. The mill number is 02890 249646.